Morpheme Remedies Ashwagandha contains ashwagandha extract. The pure extract from the Ashwagandha root is made into capsules using special design and research techniques. Morpheme Remedies Ashwagandha may help anxiety and stress related problems and keep the mind and body relaxed. This product can be used daily to improve the overall quality of your life. 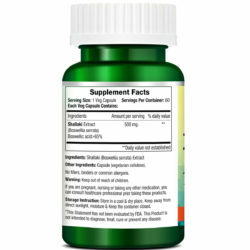 These veg capsules does not contain fillers, synthetic substances, additives and contaminants. 1. Is it only for men or can women use it? Both men and women can use ashwagandha capsules. You can store the product on the counter-top. It does not need refrigeration. 3. Can I take the capsules twice or thrice a day? It is best to take one capsule daily before or after meals. Consuming over two capsules in a day is not advisable. 4. Does it have any animal products? No, the capsules are purely vegetarian. 5. Should I take the capsule on an empty stomach? Is Ashwagandha safe for consumption? Ashwagandha is a safe product. The herb has been used for centuries by the Ayurvedic physicians. The safety of the herb is validated even my modern scientific studies. 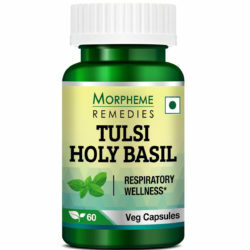 This herb is well tolerated and there is no risk of adverse side effect. Morpheme Remedies Ashwagandha is a premium quality product. It contains pure Ashwagandha root extract. Hence, it is absolutely safe for consumption. When the Ashwagandha capsules are taken daily according to instruction, you may expect to experience the benefits of the herb within two to three weeks. Can I take Ashwagandha with other medications and supplements? Because of the immunostimulatory activity of Ashwagandha, it may reduce the effectiveness of immunosuppressive drugs. Therefore, if you are on an immunosuppressive medication, avoid this product. In some cases, Ashwagandha may cause sleepiness or drowsiness when taken along with sedatives. Consult your physician before taking Ashwagandha if you are taking a sedative. As Ashwagandha affects the central nervous system, stop taking the supplement at least two weeks prior a surgery. Thanks for providing this wonderful product. It’s a natural stress buster. Good product. I take this supplement to help me in stress and I can tell that it definitely helps. It reduces stress and provide relief to the mind. Five stars!!! I have trouble sleeping due to stress and tension. But when I take 2 pills of Ashwagandha before bedtime, I sleep soundly and wake up felling much better. I have started taking Ashwagandha pills one month ago. I took only one pill in a day which really helped to get relieve in social anxiety and panic attacks. Wonderful experience after taking these pills!!!! The tablets are good and helps in relieving in anxiety/stress as proclaimed by manufacturer. Pills help me not only calm and relax my mind but to fall asleep easily too. In my opinion, product is trustworthy and best remedy for stress. An excellent product! It reduced fatigue and boosted my energy level. It also seems to have strengthened my immunity as I am taking it for over three months and there has been no incidence of cold and cough. Ashwagandha is best for stress treatment. I was troubling with my sleep. So I tried this supplement and it worked great for me. Now after taking ashwagandha pills before bedtime, I sleep soundly and wake up felling much better. I am absolutely satisfied with your Ashwagandha supplement. It has made me more energetic. It has also helped me to sleep better and calmed my mind. Regularly I take Ashwagandha supplement and it has improved the quality of my health without causing any side effect. 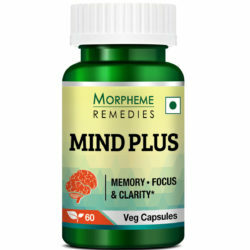 My Morpheme Ashwagandha Capsules is simply great for maintaining a sound mind in a sound body in a manner of speaking. Its good for the reduction of any stress and anxiety level. Earlier i used to feel tired all the time. Now I feel slightly more energetic after taking this ashwagandha supplement. Ashwagandha is widely recommended for increasing physical stamina and reducing stress. After taking this product, I feel my energy level has increased. Now I can sleep better and feel less anxious and stressed. The quality of the ashwagandha supplement is excellent. It has helped in boosting my physical strength and overcoming fatigue. Helped in reducing weakness. Safe supplement. Good quality Ashwagandha supplement. It helped in boosting my energy. I found this ashwagandha supplement more effective than the ones I tried before. It helps in keeping me calm and has helped in reducing fatigue. I started to feel energetic after taking this ashwagandha supplement for a few days. Good quality ashwagandha supplement. It helps in increasing energy and reducing stress. This is a superior quality ashwagandha capsule. 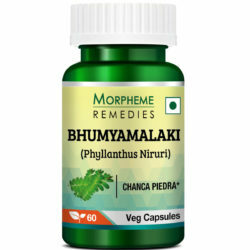 It has helped in relieving stress and fatigue. This is a trusted ashwagandha supplement. It helped me overcome fatigue and stress. A good energy booster and stress buster. These ashwagandha capsules have helped in reducing my physical weakness. A great energy booster. Fatigue and stress is now less. Good ashwagandha capsules. These ashwagandha capsules have been good for my health. I am feeling less stressed and more energetic. 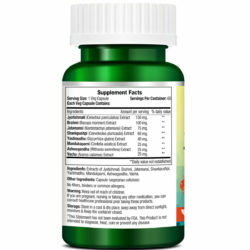 This is a top grade ashwagandha supplement. It has helped in increasing my energy level and stamina and reduced stress. I am feeling lot more healthier than before. These ashwagandha capsules are excellent energy boosters and stress busters. 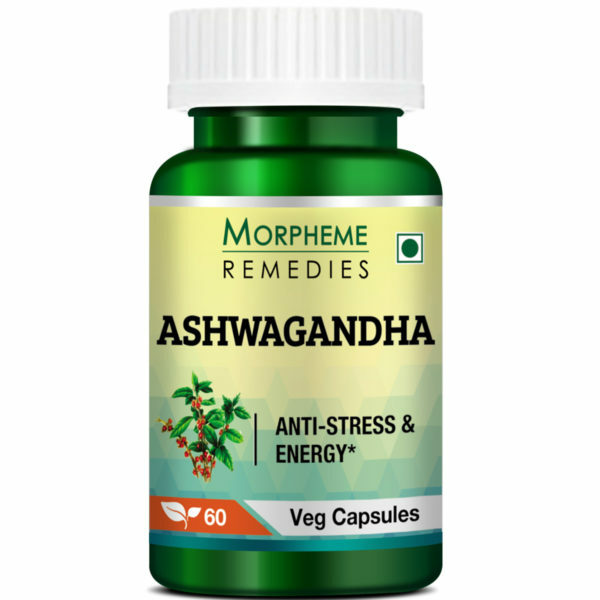 Ashwagandha has helped in reducing stress and boosting energy. I feel energetic after taking this ashwagandha supplement. It helped in improving my focus. Ashwagandha has helped in increasing my energy level. I am feeling better and my mood has improved. These ashwagandha capsules have helped in increasing my energy level. They helped calm my mind too. I am feeling better after taking these ashwagandha capsules. The quality of the extract is excellent. Ashwagandha has helped in reducing fatigue. It helped in improving my mood, focus and concentration. Ashwagandha has helped in reducing fatigue. I feel strong and energetic. It helped in improving mood and focus. Ashwagandha helped in improving my health. Feeling strong and energetic. It helped improve mental focus. Good quality ashwagandha. I feel stronger and energetic. This ashwagandha supplement has helped in reducing fatigue. I feel strong and energetic and less stressed. This is good quality ashwagandha capsule. I feel energetic and less stressed after taking it for 2 weeks. I feel energetic after taking ashwagandha. The quality of the extract is good. The quality of this ashwagandha supplement is good. It helped in boosting energy. I feel rejuvenated. Ashwagandha helped in reducing fatigue. I feel healthier. Ashwagandha capsule helps in keeping me energized for physical activities. The quality of the plant extract is excellent. This is the reason why it works so well. Ashwagandha is an effective energy booster. This quality of this particular ashwagandha extract capsule is very good. I’m feeling better after taking it for just one week. Ashwagandha is good for health. I am taking this for over 3 weeks. It helped boost my energy level. Ashwagandha is a good energy boosting herb. The quality of this ashwagandha supplement is good. Feeling healthier after taking Ashwagandha. Ashwagandha helped improve my health. It helped reduce persistent fatigue I was experiencing for a couple of months. The quality of this ashwagandha is really good. It provides me with energy and makes me less jittery. Ashwagandha is great for health. I feel less stressed and my energy level is higher. Ashwagandha helped reduce persistent fatigue. Earlier I used to feel tired after working out only for 5 to 10 minutes. Now I can work harder and feel energized throughout the day. Ashwagandha is an excellent energy booster. This is good quality extract. Ashwagandha helped reduce fatigue. It feel calm and relaxed. The quality of the ashwagandha capsule is good. I am noticing improvement in my energy level. I feel so much better. Enjoying restful sleep. Excellent product. Good ashwagandha supplement. Helped increase my energy. It takes a little time for ashwagandha to show result. The quality of the supplement is good. After taking it for a month I am satisfied with the result. This ashwagandha supplement helped in reducing fatigue. Very good quality. Directions: Take one capsule before meals twice a day to reap its benefits. Follow a routine for three months to see the results. It is recommended to consult a healthcare professional before using this product.